National Masters Track Championships 18 @ Melbourne - Graham Cockerton, John Crouchley (BiciSport Coach) and Mike Lawson. 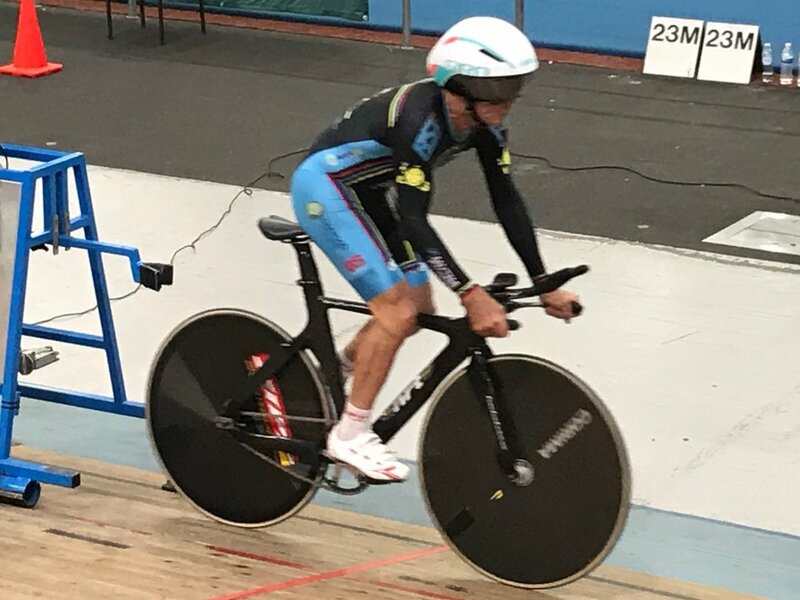 National Masters Track Championships 18 @ Melbourne - Mike Lawson launches from the starting gates in the M7 Individual Pursuit. Mike finished 4th in a close fought M7 final. 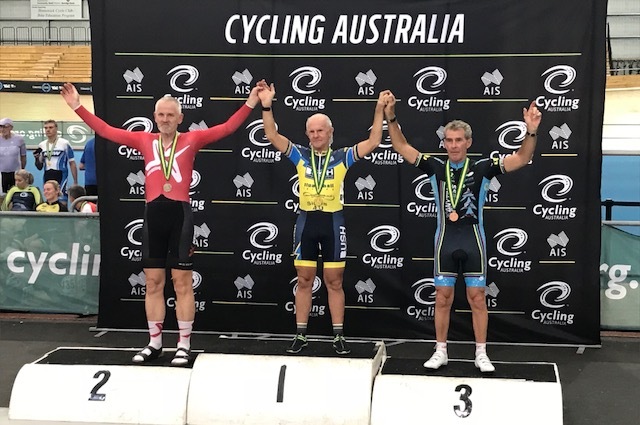 * Masters Track Nationals @ 28 Feb-3 Mar - Day 1 - M7 TT - Graham Cockerton finished 7th @ 39.02secs. Scratch Races - M5 - Graham Cockerton took Silver, M7 - Mike Lawson took Bronze. 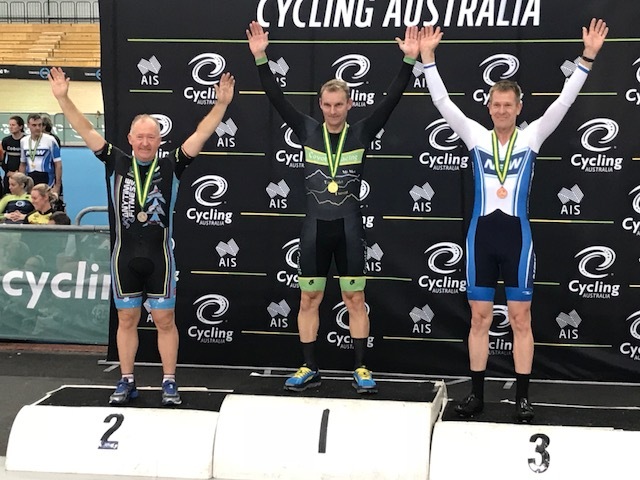 Day 2 - M7 Individual Pursuit - Mike Lawson took 4th in a super close fought final. Day 4 - M5 Points Race - Graham Cockerton finished 5th in a hard fought event. 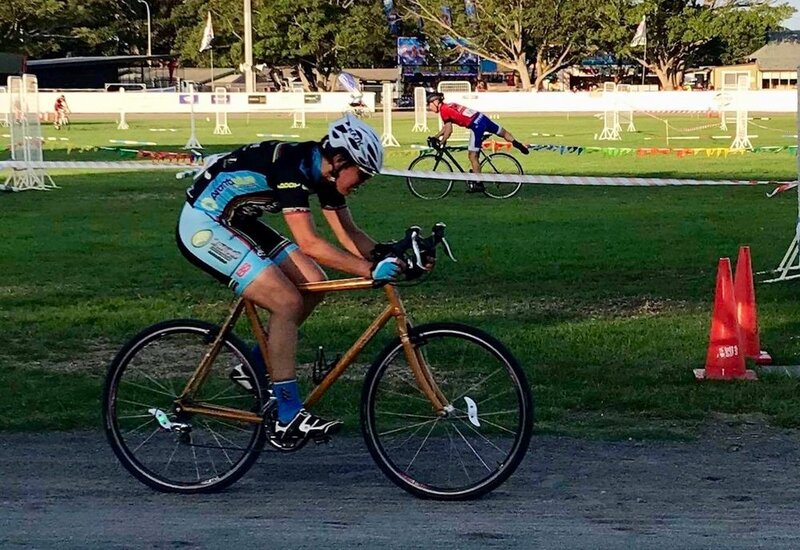 * Newcastle Show Cyclocross & Kooragang 7k ITT @ 2-3 Mar - Ruth Strapp finished first woman in B grade at the Newcastle Show CX then followed up the next day with 3rd in C grade at the Kooragang 7k ITT. 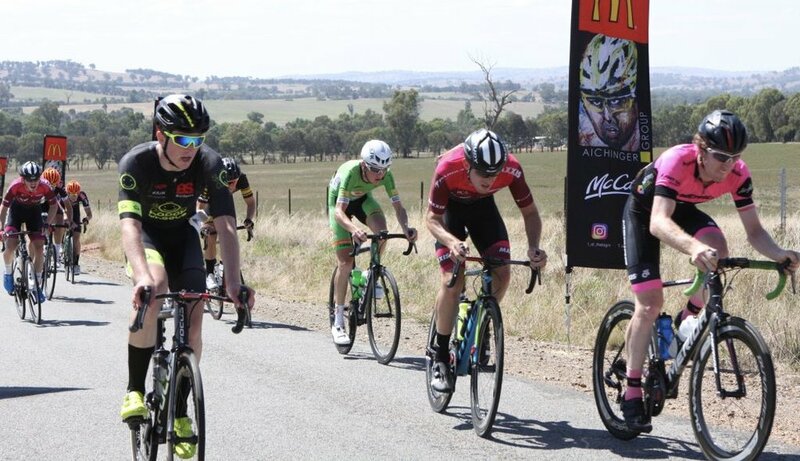 * Tolland Open (Wagga) @ 3-4 Mar - If you think NSW country handicaps are no different to a showboat city criterium then you're in for a big surprise ... Conor Tarlington expired in the late summer heat on day 1 and then punctured on day 2 which ended that weekend. Peter Budd fared better but was not in the results. * Orange Newcrest Challenge @ 4 Mar - Suzy Ladanyi finished & rode well. 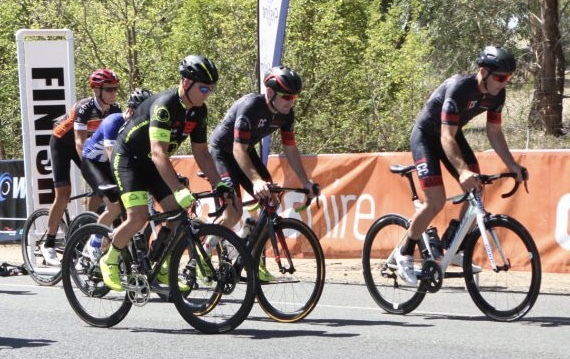 * 11 Mar - Lansdowne Park (Waratah Masters), Ourimbah Uni Criteriums (Central Coast CC), Three Peaks Challenge Cyclosportive (Falls Creek Vic). BiciSport starter - James Thornton. 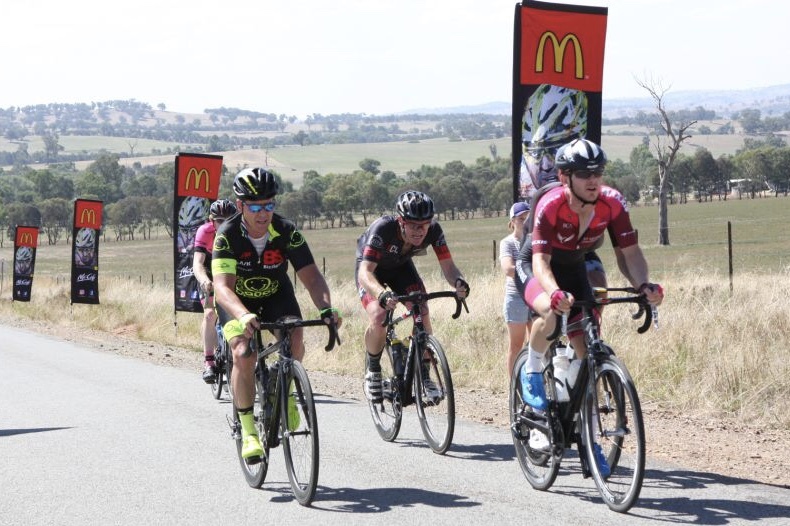 * Mar 7 (Wed) - Berowra Gruppetto @ 7.30am @ opposite Berowra Railway Station for 60k to Calga & return. National Masters Track Championships 18 ... met this really nice chap at the National Masters and so we got talking. It goes like this ... I'm a Watson says he ... really says me ... I knew a Dave Watson once from several years ago. It's me ! ! says this nice chap (pictured above left) very much still smiling. 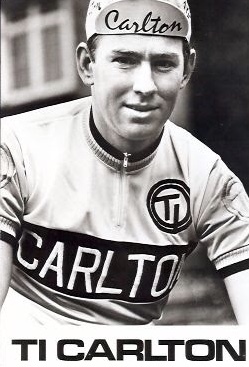 Well it sure was ... David Watson was one of the best Australian roadman of his era and represented at the Mexico Olympics & Edinburgh Commonwealth Games (in the Australian team in the Road Race) then rode for 5 years as a professional in Belgium in the Eddy Merckx era. Dave stills rides 60k every day and now lives in northern Tasmania.